A new scam is on the rise. Recently, several of our members have received phone calls from someone claiming to be from the Social Security Office. They claim that someone rented a vehicle in the member’s name, and then returned the vehicle with illegal items still in it. The caller goes on to tell the member that in order to clear their name from this case, the member must “freeze” their account by taking all their money out. Then the member must purchase several gift cards and send the caller the serial numbers for the cards (this is how the member pays the caller for removing their name). Once this is done, the caller tells the member that they will be receiving a new social security number. This is a scam! No legitimate government office will request money from you in the form of gift cards. To understand more about phone scams, see our tips below. If you feel that a phone call may be a scam, hang up. Fraudsters will try to manipulate you to send money right away, before you have time to think things through. Always ask questions, such as the person’s name, business, call back number, and reason for the call, if you feel it may be legitimate. To prevent your number from being added to any call lists, you can add your phone number to the National Do Not Call Registry. This won’t stop all unsolicited calls, but it will stop most. If your number is on the registry and you still get calls, they’re probably from scammers ignoring the law. Hang up, and report them at www.donotcall.gov. If you receive a call or are worried you may be a fraud victim, give us a call. We deal with these types of situations every day and can tell you whether or not the call is valid. 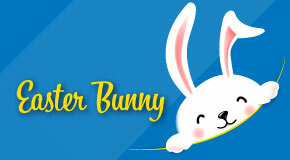 Stop by our Pasadena branch on Friday, April 19 to have your picture taken with the Easter Bunny! Remember to bring your own camera! Finding that you are unfulfilled or not making enough money to support your lifestyle is depressing. It can also be the biggest motivating factor for changing school districts. However, changing jobs is a big move that shouldn’t be done in the spur of the moment. It will affect many aspects of your life in either a positive or negative fashion. Knowing what to consider when contemplating changing jobs by switching districts can help you avoid the major pitfalls of a bad career move. Here are some things to think about if you believe another school district may be right for you. The last thing you want to do is make a bold career move that you will later regret. It is important to consider your alternatives carefully before changing jobs. Ideally, the new school district will offer a larger, more comfortable salary. While a bigger paycheck can be quite a motivator, it isn’t the only important aspect of your career move. An attractive benefits package can also be a relevant precursor for a job change. Good insurance is attractive, and there may be other benefits that draw you to a specific school district. For instance, teacher performance bonuses often attract some of the best talents while giving students in the district a better education. You’ll also want to think about grants, scholarships and educational reimbursements. Teachers’ pay often correlates with their skill level and personal education. If furthering your education is one of your goals, you’ll want to ensure that the new district supports that and rewards you for it. Depending on your age, the retirement benefit offered by a school district may be of specific importance. Each school district offers its own pension plan, and some can be quite enticing. Your personal and career goals should be a big factor in your decision to change school districts. You’ll want to ensure that the new district offers advancement opportunities that correlate with your long-term goals. As you pursue advanced education, you will develop new skills. You’ll want your new school district to support those skills and challenge you professionally. However, what you read on paper isn’t the only important consideration. The professional culture fostered in the district you choose must be one that you not only agree with but also support. Ask about the district’s mission statement and ensure that it is one you can really get behind. You may be working in the new district for a long time so you want to ensure they have a socially responsible agenda that you can support. Opportunity cost is a big factor in your decision to change school districts. For instance, when will the new school district be ready for you to make the change? Will you have the downtime you need to make it a smooth transition? Changing jobs is a big decision, and you don’t want to feel rushed. Think about the location of the new school district and how it will affect your commute. If the commute is longer, are you being compensated for it? Will you need to arrange your schedule to make time for the longer commute? Perhaps, it will be just the opposite, and the shortened commute will be a benefit. You should also consider talking to other teachers and professionals who work in the new district. Ask how they feel about it and see if they are willing to recommend it over others. Other professionals can often shed light on things that aren’t public knowledge, such as the way a district supports its teachers. Changing jobs is a big move, and you want to approach your decision with caution. Take the time to ensure that this district change will benefit you and your career by doing your due diligence. You will find that it makes your decision easier, and you will be much happier with your choice in the long run. Since everyone is in a different financial situation, it can be difficult to know if filing your own taxes is a good idea. To further complicate matters, individual finances change with the tax laws. What worked last year may not be the best option for your current situation. If your tax situation is uncomplicated and you are comfortable using the software, you may be able to file your own taxes. However, major life changes may dictate the need to hire a professional. Here are some general guidelines to help determine the best option for you. Preparing your own taxes can be a time-consuming process, even for those considered tax savvy. You should only attempt to prepare your own tax returns if you have a simple and straightforward tax situation. This will help minimize the possibility of making mistakes or submitting an incorrect return. A simple tax return is used by individuals who do not own a business or intend to itemize deductions. These individuals typically do not have any significant assets or investments that must be claimed on their return, including real estate. There are no dependents for them to declare, and the standard deduction is their best option. A 1040EZ is a simple form often used to file uncomplicated tax returns. If your tax situation is straightforward, you can often file your federal taxes for free. However, there is usually a charge to file the state taxes even if they are self-prepared. The good news is that using tax software minimizes the work involved by prepopulating subsequent forms. If you are filing your own taxes, it is important to choose your software wisely. You can prepare your taxes by hand, but the software is often more reliable. The tax software you choose will guide you through the filing process and help ensure that your return is prepared correctly. In many instances, your tax software can affect the size of your refund or your ability to get one at all. The most reliable programs will also save you time and aggravation. The great thing about utilizing software is that it is expected to be up to date on all the tax law and form changes. Many times, you can also purchase an audit guarantee. The software allows you to see how entering different numbers impacts the calculations at the end. Using the right software will give you the confidence and peace of mind that your taxes have been filed correctly. It can also save you quite a bit of money over hiring a professional. Tax software can often be purchased at a discounted rate, such as the discount offered to members of GCEFCU. The amount paid for tax filing software is also a deductible expense when you file your taxes. Those who have a more complicated tax situation are often better off paying a professional to file their taxes. This typically applies to those who have substantial earnings, assets and investments. A professional understands which tax laws apply to such items and which forms must be filed to claim them properly. They can also determine whether it is in your best interest to itemize deductions for the current year. For instance, the standard deduction nearly doubled for 2018. Changes to the standard deduction amount coupled with additional changes to itemized deductions may make itemizing less attractive in some situations. However, if you own a business or side business, then you may need to itemize. A tax professional can help determine the best approach for your situation and minimize your total tax liability. They will also consider any major life changes that may directly impact your tax liability. Getting married, buying a house or having a child are all considered major life events that have significant tax implications. What works for you may not work for someone else in a similar situation. Aside from the necessary tax software, you should also consider your schedule and current obligations. Filing your own taxes requires a considerable amount of time and patience, even with the right software. If you do not have a quiet place to get this task done or access to a computer, it may be in your best interest to hire a professional. The price you pay for a professional to file your taxes is deductible, and it may be worth your sanity. If your situation is straightforward, then you can probably handle things yourself with the right software. Just be sure to utilize any available discounts when purchasing the software and minimize distractions until you are finished. Retirement is a time that many people look forward to. However, preparing for retirement does present some challenges. People are living longer, and Social Security benefits are not an option for some teachers. Believe it or not, it is possible to retire comfortably on a teacher’s salary even without social security. 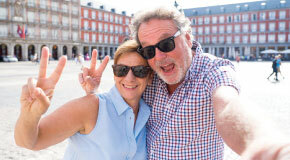 The right financial plan and practical financial habits will allow you to live out your golden years securely while still enjoying all the activities and hobbies you crave. The key is to plan early, create a budget and utilize the financial tools available to you. Invest in employer-sponsored retirement plans, especially if they match contributions. Work a side hustle and put money in the right places. Tax-advantaged retirement accounts are a great place to start saving for your golden years. Aside from building a nest egg, these plans also help minimize the tax burden every year. Tax-advantaged retirement accounts are often employer-sponsored retirement plans with low fees. Many teachers who work full-time for a public school, or even a tax-exempt private school, can take advantage of a 403(b) plan. Some district employees have access to a 457(b) plan. These are both tax-advantaged retirement plans with high annual contribution limits. In addition to employer retirement plans, you can also fund your own retirement using a high earning Individual Retirement Account, such as our Premium Market IRA. This IRA’s rate fluctuates monthly, depending on what the market rate is. However, it never goes negative, making your money safe and secure, even in times of market volatility. For the 2019 tax year, contribution limits are set at $19,000 per person. Both plans have provisions that allow catch-up contributions for employees ages 50 and older. Catch-up contributions are limited to $6,000. That means that one person can theoretically stash away $19,000 or $26,000 in pre-tax dollars annually, depending on their age. The best part is that contributions to these plans are tax-deferred. It lowers the taxable income for the year the contributions were made. Instead, distributions are taxed when they are taken in retirement. Many employers will match these tax-deferred contributions up to a certain amount. The higher annual contribution limits and employer contributions can help fund a retirement account and fill it up. It is often necessary to earn more than just your salary to reach your financial goals. Creating a side hustle is a great way to generate extra cash every month. Investing side hustle money can help your retirement account grow quickly. As an educator, the best way to do this is to market your finest skills. Selling some of your lesson plans makes efficient use of your time and helps generate extra cash. You must create them anyway, and some websites make the marketing easy. New teachers and homeschooling moms are always on the lookout for great lesson plans, and they will pay handsomely for them. You could also tutor students for extra money. You can offer one on one tutoring in your community, or you can tutor people online. Do what comes easiest to you and earns you that extra money to sock away for your retirement. Some educators even teach English as a second language to make extra money. You could also write a book about something you are passionate about. E-books are easier to format, they don’t have to be long and you can self-publish. The internet allows access to many tools that make it easier to earn side hustle money. Prioritize retirement funding and make efficient use of your skills. Then, invest the profits wisely for your retirement. It will grow quicker than you think and before you know it, you will have a sizable nest egg. You’ve already seen how socking away money can help you retire comfortably on a teacher’s salary. However, where you put your money matters. A simple savings account doesn’t earn enough interest to really multiply your savings. A CD, or Term Share Account, is a locked savings account that earns high interest rates without any associated risks. These are federally insured accounts that are offered in various terms, from three months to five years. You choose the term that is right for you based on your individual situation. If you don’t want your money locked up, a Money Market account is a great option. It is a hybrid account between a CD and a checking account. You earn a higher savings yield, but can still make up to 6 withdraws per month. 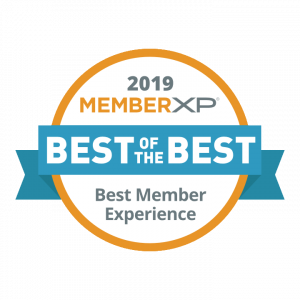 MemberXP, a credit union member experience measurement platform, has designated Gulf Coast Educators FCU as one of 2019’s “best of the best” credit unions. “We are proud of the way our employees work tirelessly to make sure our members have a great experience. We continually seek feedback from our members and are continually looking for ways to improve the member experience,” remarked Eric Stegall, Senior Vice President of Operations. “Gulf Coast Educators FCU’s top scores indicate a real commitment to doing what is right for members,” said Constance Anderson, founder of MemberXP. Tax time often makes people a little nervous when it rolls around. Some people must pay while others get refunds, but Uncle Sam always gets his share. Unfortunately, educators are no exception. However, there are special breaks that teachers can take advantage of. These tips will help maximize deductions for teachers while minimizing taxable income. Tax time doesn’t have to make you nervous, if you prepare correctly and take advantage of the special rules for teachers. Most schools operate within tight budget constraints, and teachers must often dip into their own pockets to fund classroom supplies. Educators who are K-12 teachers working at least 900 hours in a state-certified public or private school facility qualify for an Educator Expense Deduction of up to $250. This deduction applies to expenses that teachers purchase for their classroom during the school year. Classroom supplies such as paper, pencils, books, paints and even software can qualify for this deduction. The guidelines are pretty inclusive, as long as items are appropriate and purchased directly for use in the classroom. Physical education teachers can use this deduction towards the purchase of athletic equipment for the students as well. These expenses are only deductible if you were not reimbursed for them. If supplies are purchased using distributions or savings bond interest, then they are not deductible. However, the monies used to buy them reduces your taxable income. Miscellaneous deductions can be claimed by people in any profession, and they can reduce total tax liability. The total of these expenses must be more than 2 percent above your adjusted gross income, and they must be required to perform your current job duties. However, the amount may exceed $250. For example, if your adjusted gross income is $50,000, then 2 percent of that is $1,000. Any amount over $1,000 is deductible as a miscellaneous expense. If your unreimbursed expenses for the year total $1,500, then you can take a miscellaneous deduction of $500. To claim this deduction, you must itemize your expenses and save receipts. Items that fall into this category may include licensing fees, union dues and professional journal subscriptions that you paid for during the year. You can even claim classroom supplies and software as a miscellaneous deduction, subject to the amount that is 2 percent above your adjusted gross income. There are multiple ways that you can use savings bonds for educational purposes. If you purchased U.S. or EE savings bonds after the age of 24, then you can use the interest to fund classroom expenses. The best part is that you don’t have to report the amount of interest used to purchase goods for the classroom as part of your taxable income. That same amount may not be claimed as an educator expense or miscellaneous deduction, but it can reduce the amount of income that you pay taxes on. The interest must come from U.S. or EE savings bonds reported on IRS form 8815 that were issued after 1989. You may also be able to exclude some, or all, of the interest paid on the redemption of series EE bonds if it was used to fund higher education. You must have been 24 years old before you purchased the bonds and you must have incurred the educational expenses during the same year the bonds are redeemed. The cost of books or room and board do not qualify for this particular tax exclusion. If you use both the principal and interest to pay for qualified educational expenses, then the interest may be excluded from your adjusted gross income. While the Lifetime Learning Credit is available to everyone, it can really be helpful for teachers who go back to school to improve their skills or get a higher degree. People can claim 20 percent of the first $10,000 spent on educational expenses, up to a $2,000 maximum, for a nonrefundable credit. This credit directly reduces the amount of taxes owed, but it cannot trigger a refund. Tuition and fees from an institution of higher learning qualify for this credit. However, insurance, activity and athletic fees are not eligible. To qualify for this credit, you must be actively seeking a degree or improving your skills for an existing job. Individuals must have an adjusted gross income of $65,000 or less, and couples can make up to $130,000 if they file a joint return. The credit is reduced for individuals with an adjusted gross income of over $55,000 and couples who make more than $110,000. One of the best aspects of this credit is that it may be claimed retroactively. If you qualified for this credit in previous years but forgot to claim it, there may still be time. Just remember, this credit will not trigger a refund. Always consult with a tax professional if you have questions about any qualifications for any tax credits or deductions. If you have a love for learning and don’t want to stop, then by all means, keep going! However, most individuals continue their education with the belief that once they have completed their degree or certification, they will make more money. If this is the case for you, be sure that you research how much more your district will pay you once you have earned your new credentials. Compare this to how much continuing your education will cost you. Is it worth it? Many educators want to move up in their careers and become principals, administrative professionals, and even superintendents. If this is you, decide what you want to do, and plan out the steps you need to get there. If you want to be a principal one day, your best resource is your current principal. Make your plans known, and they can help guide you in the right direction. After all, they have been in your shoes before. Another great resource is your district’s Education Foundation. This is a team of people who are dedicated to helping make your job easier. They raise money with the help of the community to reward innovative teaching grants, teacher scholarships, and much more. Find your Education Foundation and use all their resources that you can – It’s free! The biggest kicker when it comes to continuing your education – actually paying for it. The rule of thumb when it comes to paying for education is to look for scholarships first, grants second, and financing last. Your first step should be submitting a FAFSA application. Once completed, this will tell you whether you automatically qualify for any scholarships and grants from your school. It’s essentially free money. Next, look for all the scholarships you can. Go back to your Education Foundation and see if they have any teacher scholarships available. Teacher.org also lists several scholarships throughout the year that are available for educators. Once you have submitted applications for all of the scholarships and grants available to you, you can research loans. A great option is our Professional Development Loan. You can borrow up to $10,000 with a rate as low as 1.99% APR*. Remember to never borrow more than you need. You don’t have to go back to college in order to learn more. School districts and Universities constantly offer professional development classes to their teachers – for free. Region 4 also offers many free classes for educators, and you can view their upcoming sessions here. If you are finding yourself stuck on something, find a mentor in a seasoned teacher who knows the ropes. And most importantly, once you become a seasoned teacher yourself, reach out and mentor the new teachers who are just beginning. If you have children, it is important to save for their college education. While it is likely they may qualify for some type of financial aid, not everyone does, and tuition can be cost-prohibitive. The key to saving for college is to start early and invest wisely, earning interest whenever possible. People often get busy or encounter unexpected circumstances that require them to forgo savings. They later find themselves scrambling to find the money they need when their child is in high school. By starting early and planning, you can ensure your child has the money they need to attend college. The College Saver certificate is an excellent place to start your child’s college saver plan. The good thing about this plan is that it’s relatively inexpensive. Just $25 gets the account started, and after the account reaches $250, your child can begin earning dividends, which can be reinvested back into the account for even more savings. Also, the account comes loaded with special features. It renews automatically every year. It’s also possible to make as many deposits as your child likes, as the account is open to unlimited deposits. Unlike some other college savings accounts, the College Saver Certificate does not specify the type of school your child must attend. He or she may choose college or university and still qualify. Keep in mind, however, this college saver account requires parental consent and signature as a joint owner in order to be eligible for savings and benefits. Another option for a college saver plan is the 529 plan. These plans are state government-run and offer tax-free withdrawals for educational expenses. One of the best things about the 529 plan is the opportunity to invest after-tax money and earn investment gains. They mainly consist of diverse stocks and bonds offered at low cost to savers. If you’re looking to invest large amounts of money at a time, this plan is a good choice. These accounts allow high contribution limits, and perhaps the best feature is that the funds are never taxed as long as they are used only for education expenses. This includes tuition, books, fees and living expenses such as room and board. An added benefit is the Gift of College program. It allows friends and family members to assist with your college savings plan. They can easily contribute directly into the account simply by registering at the website giftofcollege.com. It’s important to note that although the contributions to the program are tax-free, there is a 5 percent processing fee that runs up to $15 per contribution. Keep in mind, however, that 529 plan rules and regulations vary by state. Be sure to check your state laws before getting started. Yet another college saver plan is the Roth IRA. These accounts are somewhat versatile in that they offer tax- and penalty-free withdrawals for educational expenses, but any unused money may be saved for retirement. This a great option if you’re unsure if your child will in the future change his or her mind and decide college is no longer on the radar. This dual-purpose route also makes for an excellent option for parents whose employers offer Roth IRAs in their benefits package. Like the College Saver Certificate, there are no requirements regarding the type of school a saver should attend. Any college or university will do. Also, like the 529 plan, it’s possible to earn investment gains and contribute after-tax money with Roth IRAs – an added plus for those looking to grow their money while saving. Roth IRAs do have their limits, however. Funds for educational expenses can only be withdrawn penalty-free after five years of saving. Also, these accounts are subject to annual contribution limits ($5,500 annually and $6,500 annually if you’re over 50). Be sure to check IRS rules during your pre-planning phase to ensure your regular contributions fit the contribution caps and to avoid any penalties and fees on early or non-education related withdrawals. Every child thinking about college needs a college saver plan. The sooner you get started saving, the better. There are some options to choose from. Each type of saver account has a number of features. Take the time to do your homework and find a fit that’s right for your college plans and financial goals. With a little investigating, you should be able to find a college saver plan that puts you and your child ahead of the game and off to a great start for college.